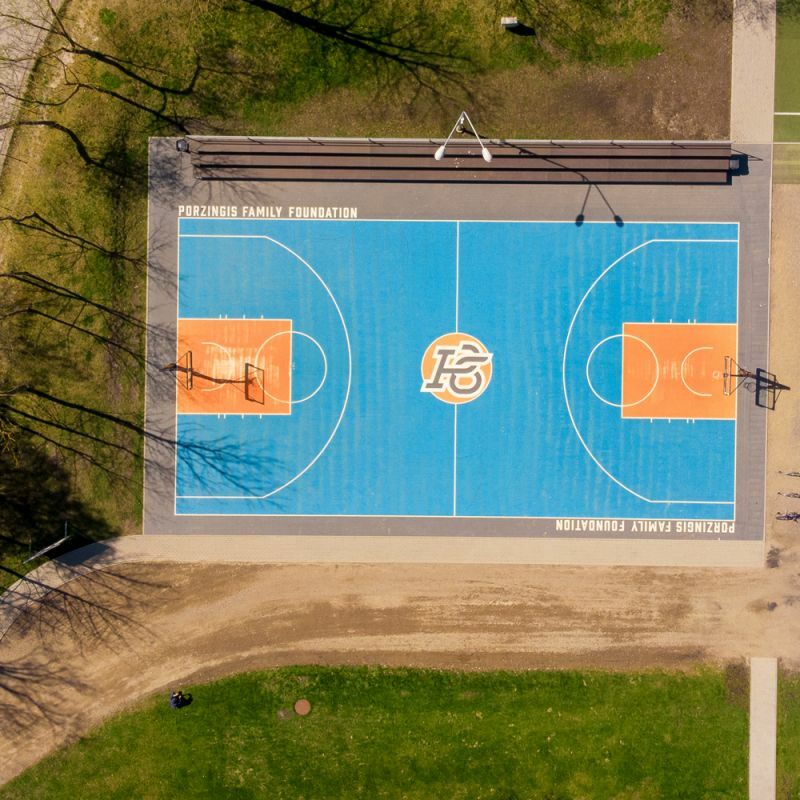 On 15 June, 2016, the Latvian player of the NBA New York Knicks Kristaps Porziņģis gifted his city an outside basketball court, located next to Daugava Spare Stadium of LOC. The court is built in accordance with NBA standards. The size of the court is 26.65 m x 15.24 m, basket height - 3.05 m. For the convenience of visitors, bleachers with 150 seats were installed on the sides of the court. Thanks to the lighting, the basketball court can also be used in the dark.